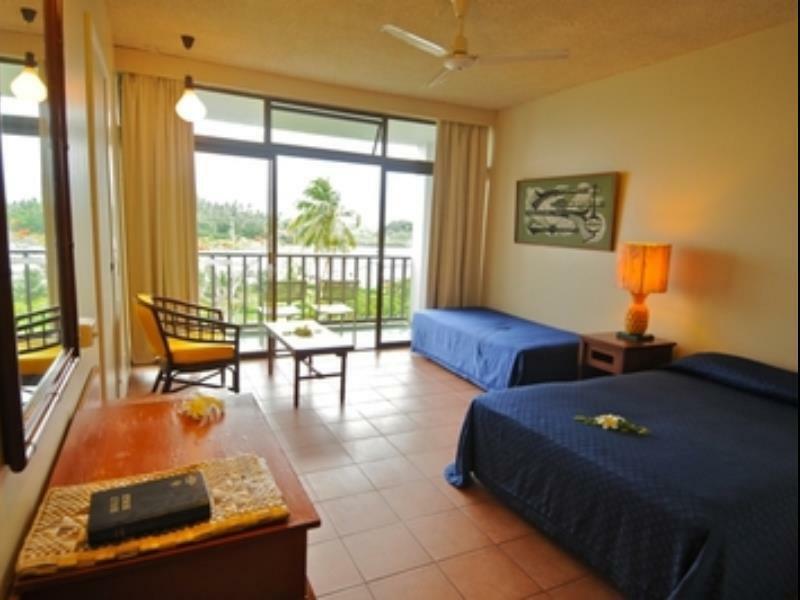 سواءً كنت مسافراً بغرض السياحة أو العمل, Savusavu Hot Springs Hotel هو خيار عظيم للإقامة خلال زيارتك سافو سافو. يقع الفندق على بعد 0.02 km من مركز المدينة، ويؤمن الوصول إلى أهم مراكز المدينة. كما يمكن الوصول بسهولة إلى تو تاي ادفانتشر, جيه هنتر, كوبرا مارينا. استمتع بالخدمات الراقية والضيافة التي لا مثيل لها بهذا الفندق في سافو سافو. يقدم الفندق مرافق مخصصة لذوي الاحتياجات الخاصة, تسجيل وصول/خروج سريع, تخزين الأمتعة, صف السيارات, خدمة الغرف لضمان الراحة القصوى لضيوفه. بالإضافة لهذا,تتضمن كل غرف الضيوف مجموعة واسعة من وسائل الراحة . بعض الغرف توفر حتى اتصال لاسلكي بالإنترنت, مكيف هواء, خدمة الإيقاظ, مكتب, شرفة/ تراس لإرضاء أكثر الضيوف تطلباً. سواء كنت من محبي الرياضة أو كنت تتطلع لتفريغ عناء نهار صعب، ستجد خدمات ذات مستوى عالي بانتظارك كمثل حمام سباحة خارجي, تدليك, مسبح (للأطفال), حديقة, رياضات مائية (غير آلية). 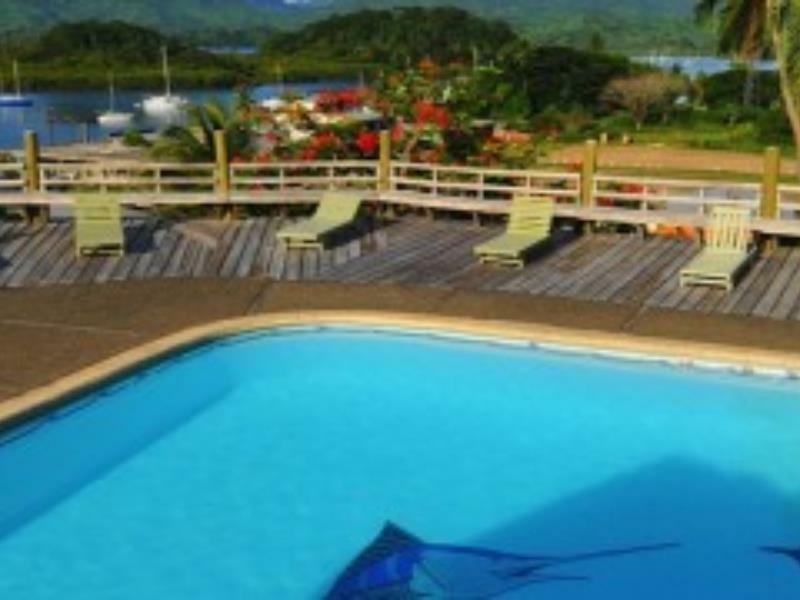 إن Savusavu Hot Springs Hotel هو خيار ذكي بالنسبة للمسافرين إلى سافو سافو، بما يوفره من إقامة هادئة ومرحة. Bar and restaurant was manned all day - regardless of the numbers present. Best value drink prices in all Fiji and the food was great !!!! Very convenient, walking distance to town. Pool renovation not quite finished. Beautiful view of the marina right in front of you! Hotel was undergoing renovations with pool & restaurant closed until Feb18. However hotel is located in Savusavu town with lots of eating options. My first time in Savusavu & would stay at hotsprings again. Staff are friendly & helpful & go about working quietly. Beautiful views. Would be good if balcony furniture also included a table. Clean rooms & bathroom. Nice location in town. Gorgeous view of the harbor. Staff was exceptionally nice. My only complaint is the dogs barking at night in the nearby neighborhood. Every room has lovely views, but you won't be able to enjoy them as construction starts at 7am to 7pm. Then at night there is a club with horrifying loud music until 1 am. The staff however couldn't be nicer. I am sure it will be a lovely place once the noise problems are sorted and the bathrooms are updated. At the moment I feel the place is overpriced for what it can offer. Due to cyclone Winston the Hotel lost their restaurant and bar but have a small supply of alcohol and you can have delicious food delivered from Surt n Turf down the road......so many places to each just a short stroll down town. The pool area is beautiful with the most amazing harbour views. This will me my weekend away treat from time to time. Savusavu is truely the hidden paradise of Fiji. 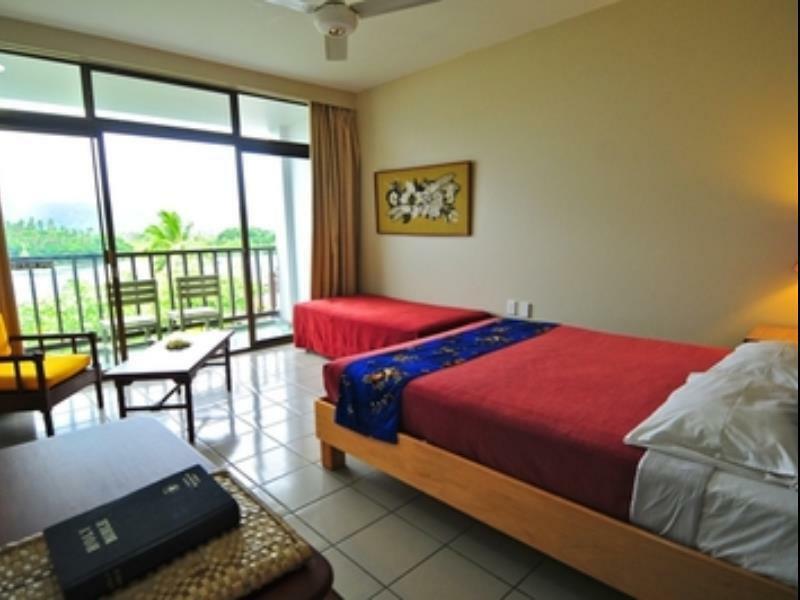 the location is great for this hotel in Savusavu and the view from the room is breathtaking. just be careful if you're in the bottom floor. There can be drunks who can climb over to your balcony so i would recommend if you're travelling alone or not is always lock the balcony door. there is no TV no kitchen at all in this hotel, but restaurants and cafes are close by. Location !! Breakfast and View from hotel room and from hotel deck and lounge area. It was fine, however internet connection was an issue. We paid for Internet access however could not access WiFi and despite mentioning it to the manager he was unhelpful saying, 'It works fine". We tried every which way we knew how to access wifi however to no avail. We were offered a refund which we refused as it was not about the money rather the that inability to access wifi warranted further investigation. The girls at reception were very helpful as were catering and bar staff - an asset to Hotsprings !!! The view, catering staff & closeness to town. Nice location, easy walk to town. Very friendly pleasant staff. Girls in reception were excellent. Nice views from the restaurant and rooms. Paper thin walls between rooms so bring your ear plugs. Furnishings look a bit tired in the standard room. Fan was adequate for hot night. Staff very helpful and friendly. View is great. We statyed here for two nights. The hotel's dining area was under renovation during our stay, but they had a list of nearby restaurants they recommended for us to dine - which for us is really good as we loved to explore local restaurants. Local grocery shops are also within walking distance. 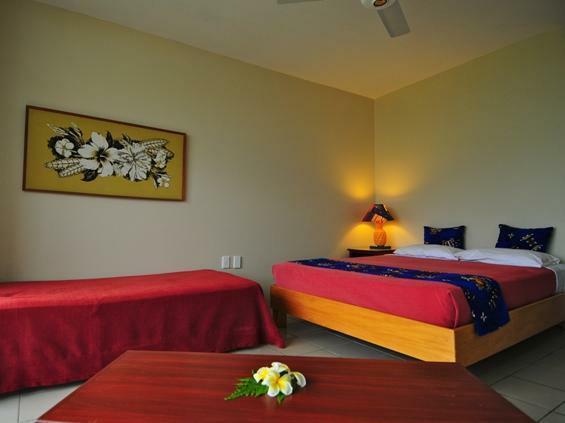 Savusavu is a quiet town best for relaxation, so we really enjoyed the peace and quiet environment in this hotel. Pool is well maintained. They also offer massage. Internet here is half the price cheaper compared to most backpacking hostels in Nadi. We didn't get any airport transfer but they were happy to call for a taxi for us. The hotel is five and a half bucks away from the airport. Overall good staff.Nice pool and large partially outdoor dining area with fine view and a tropical bar. I stay here fairly often and am made to feel like one of the family. 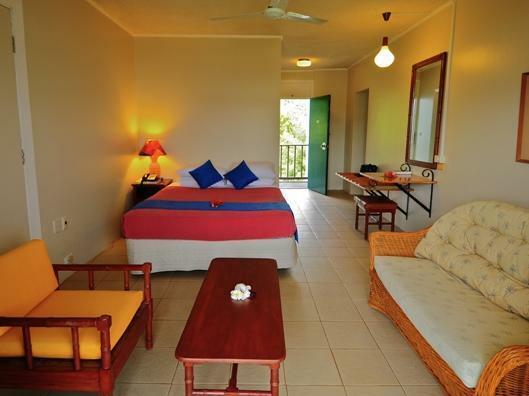 The prices for rooms are excellent and it is an easy five minute walk into downtown Savusavu. Sometimes there is music on the stage beside the small dancefloor. This hotel is not plush but it is very serviceable and the location and views are spectacular.